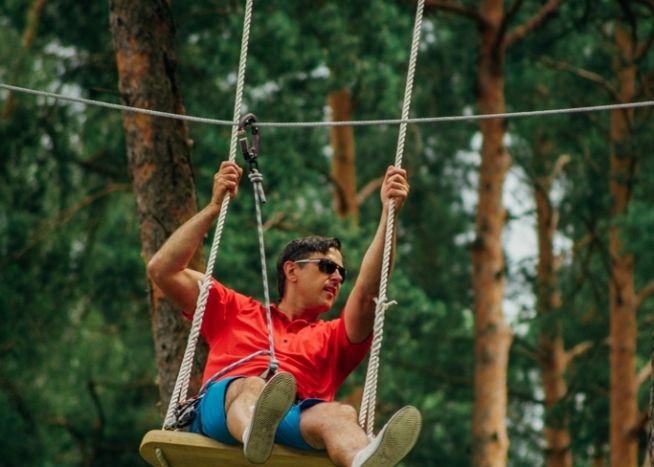 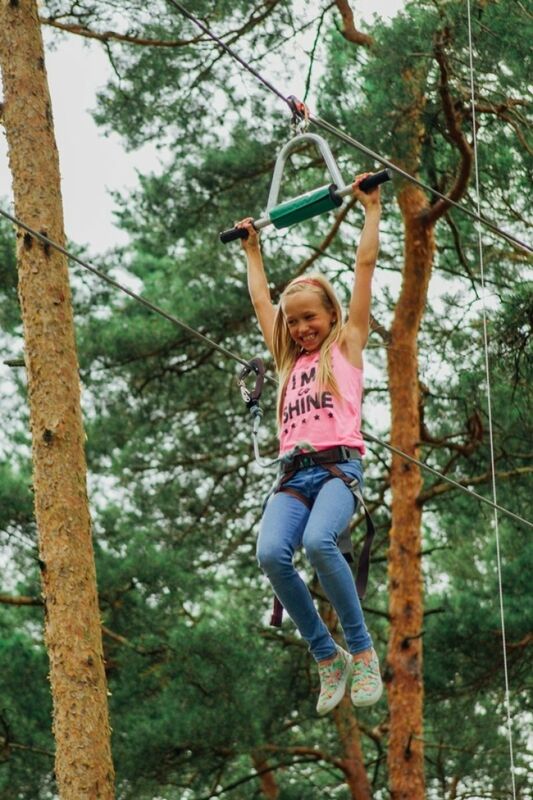 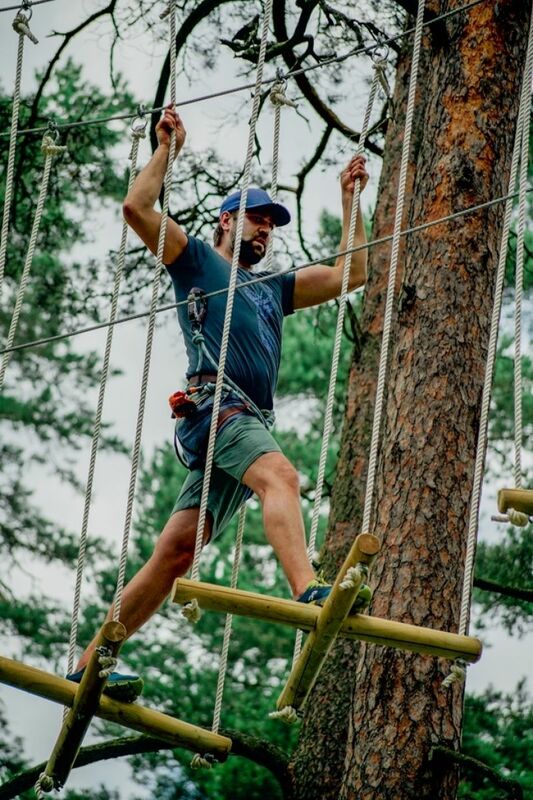 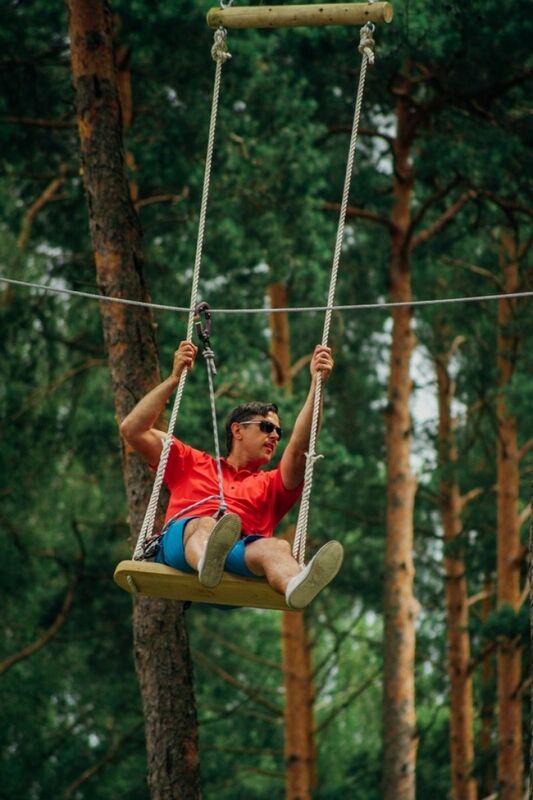 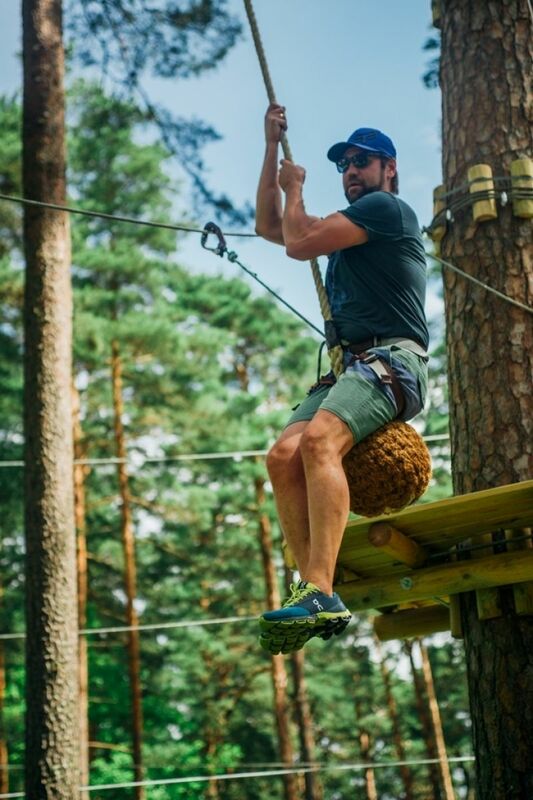 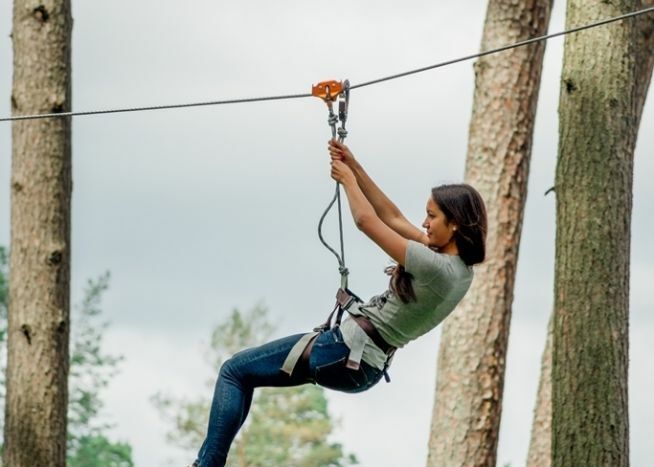 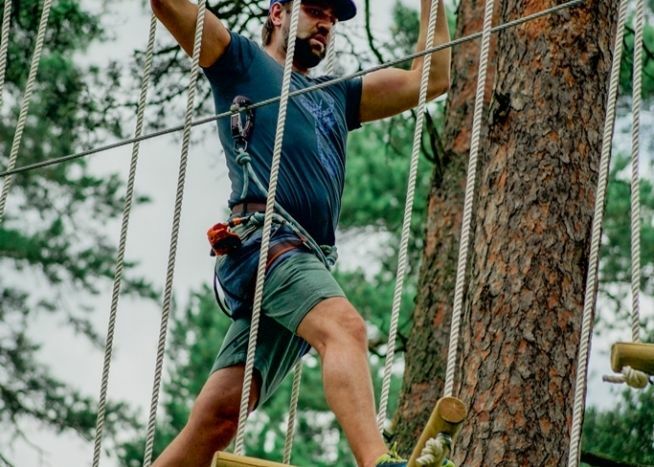 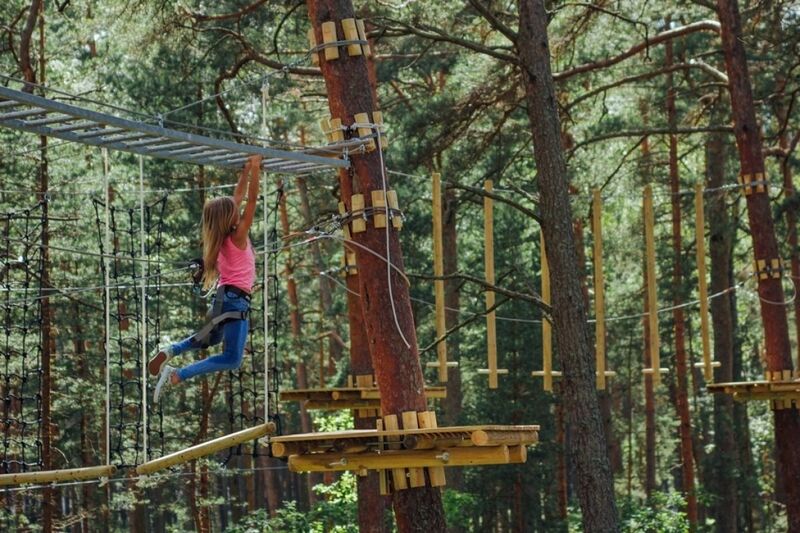 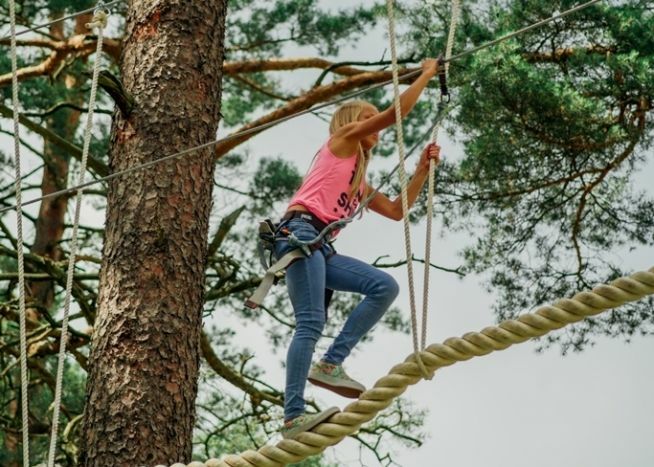 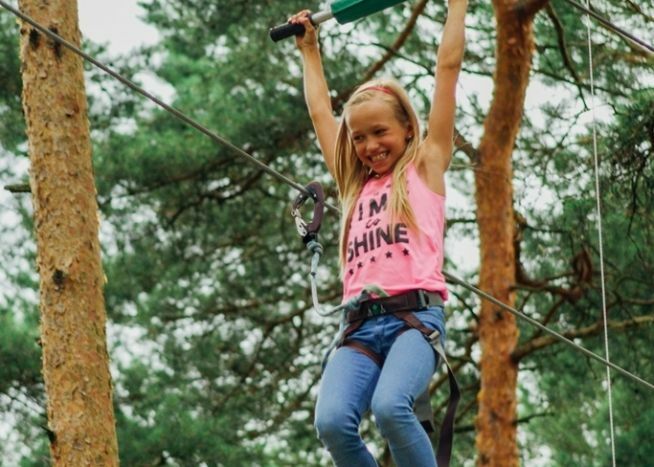 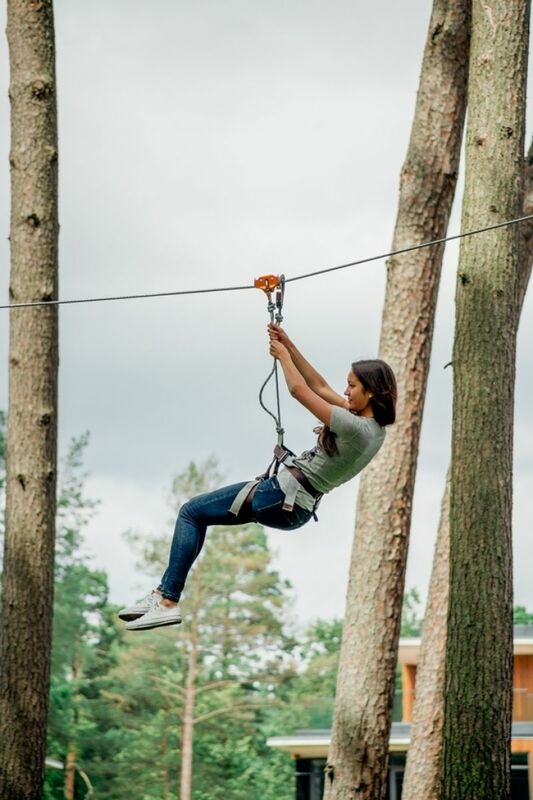 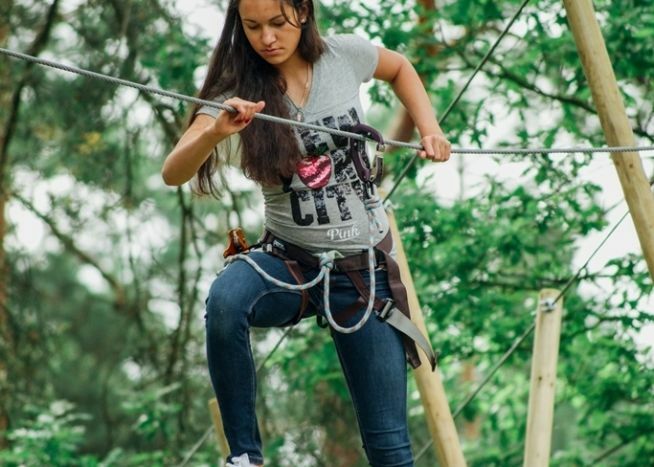 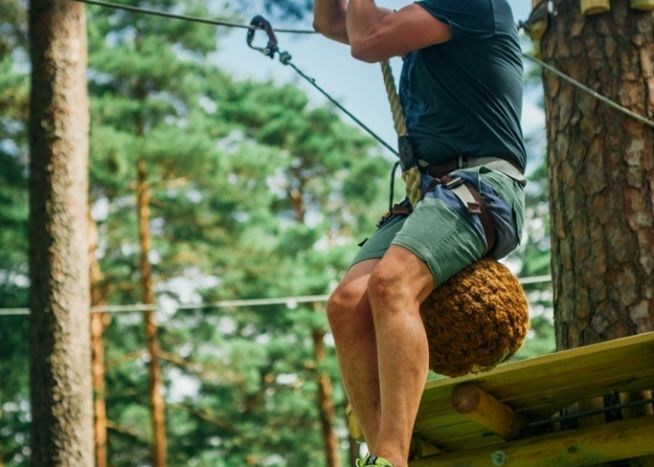 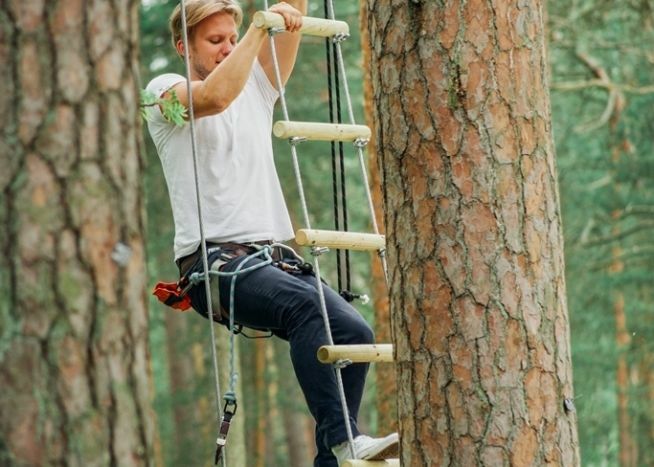 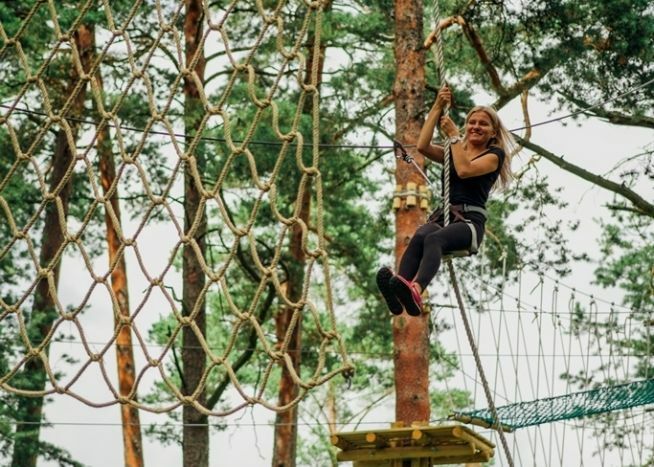 The adventure park “Jūrmalas Tarzāns” has been established in Dzintari Forest Park in Jurmala with five obstacle tracks provided for recreation of both; adults, and children. 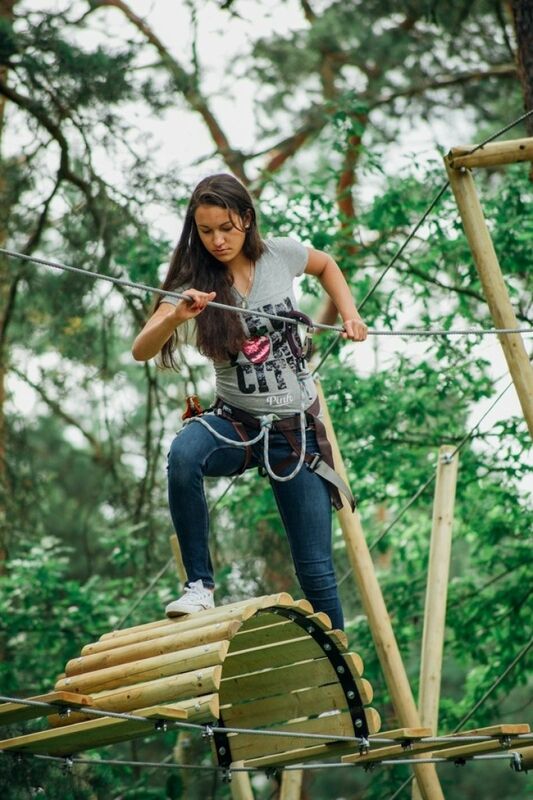 The obstacle park is suitable for both; children, and adults and there are five tracks of different levels available. 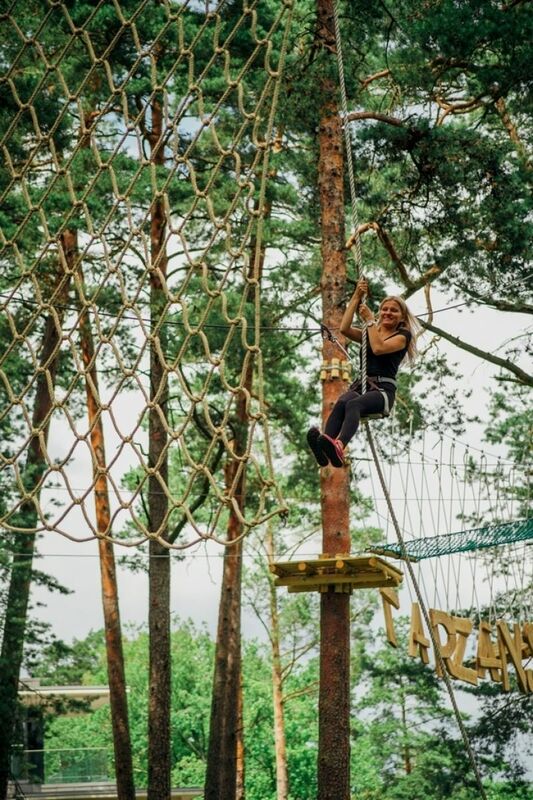 The green track is provided for adults and children from six years of age, and it includes 16 obstacles two to four metres high. 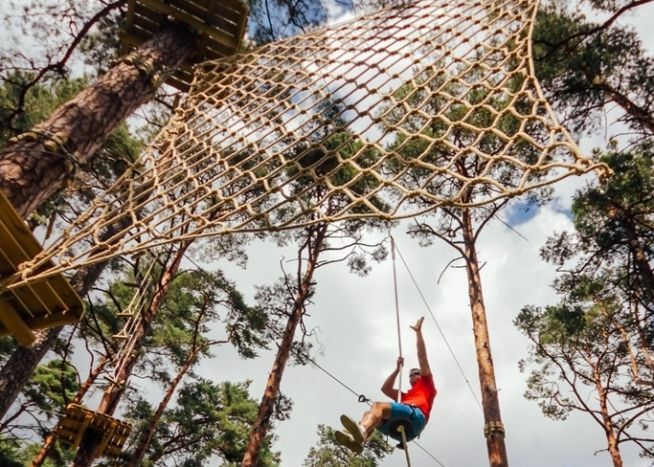 The blue track includes obstacles which are rather easy to overcome and lifted up to six metres above the ground, and at the end of the track there is an 80 m long wire track. 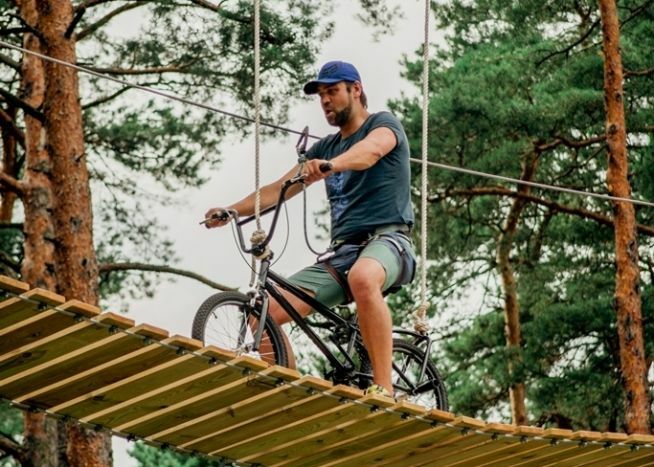 The red track is made in the height of 8 metres, it includes the attractive “Tarzan’s Jump” and a ride by bicycle along the footbridge, flying skateboard and other exciting obstacles. 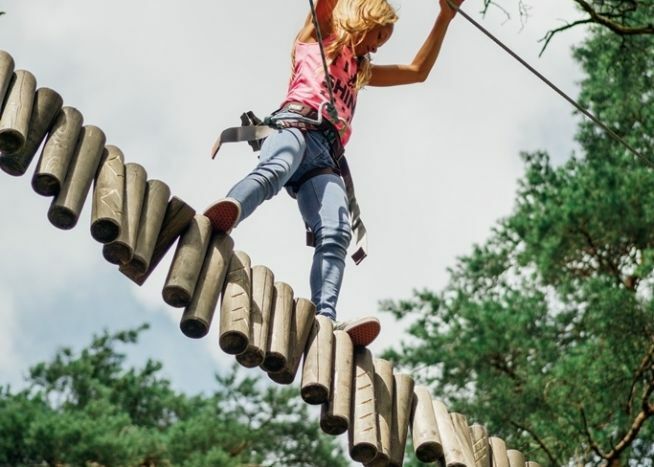 On the other hand, the Black track is provided for those who have greater strength because 14 highly complicated obstacles are placed in the track. 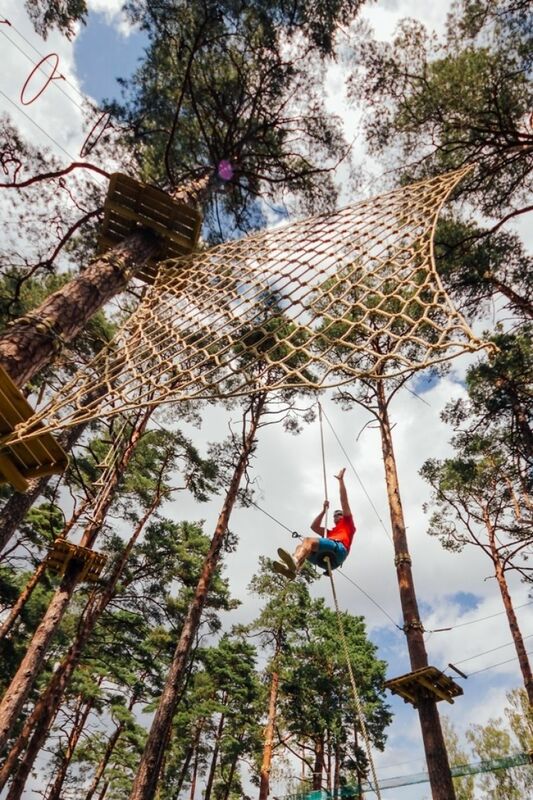 “The adventure park is equipped with the latest generation safety system “Speedrunner”of the Swiss company “Kanopeo” and the main benefit of installation of such a system will be prevention of the unstrapping risk. 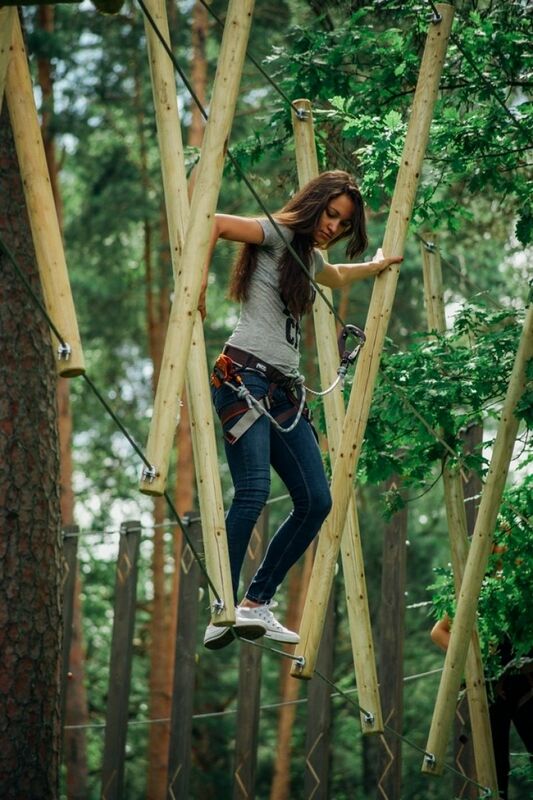 A visitor of the park will be connected to the safety wire throughot the entire particular track which will make all the adventure time safe. 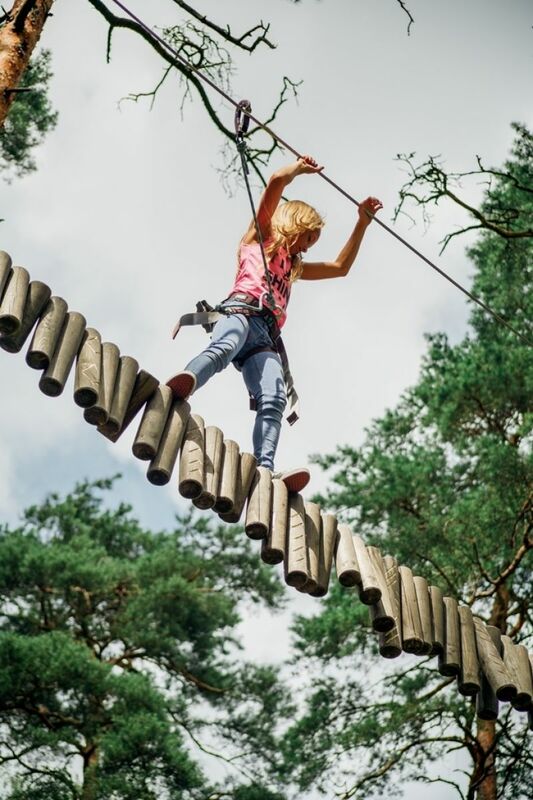 Adventure track for children with 15 different obstacles. 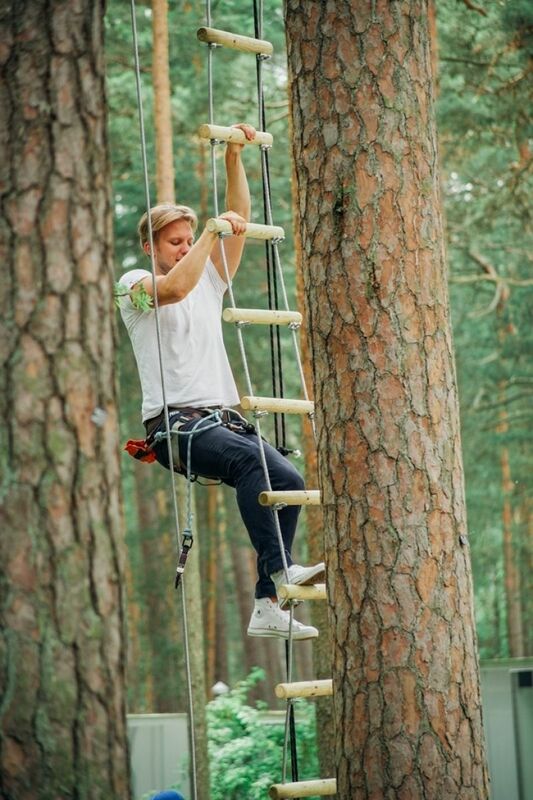 For adults this will be a proper warm-up before going up higher. 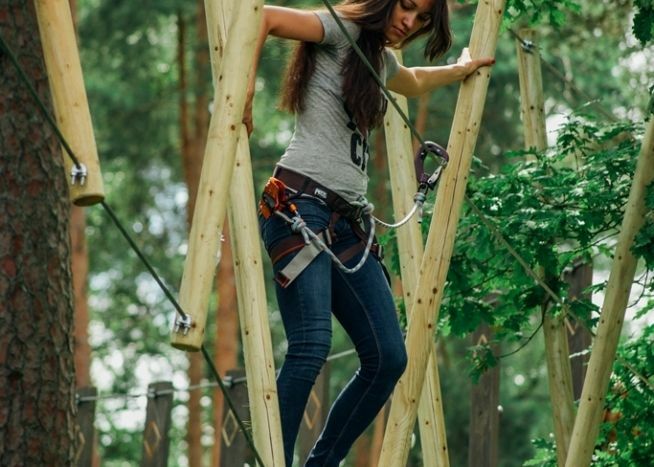 Easy obstacles, raised up to 6m above ground level will also allow more cautious people to finish the track. 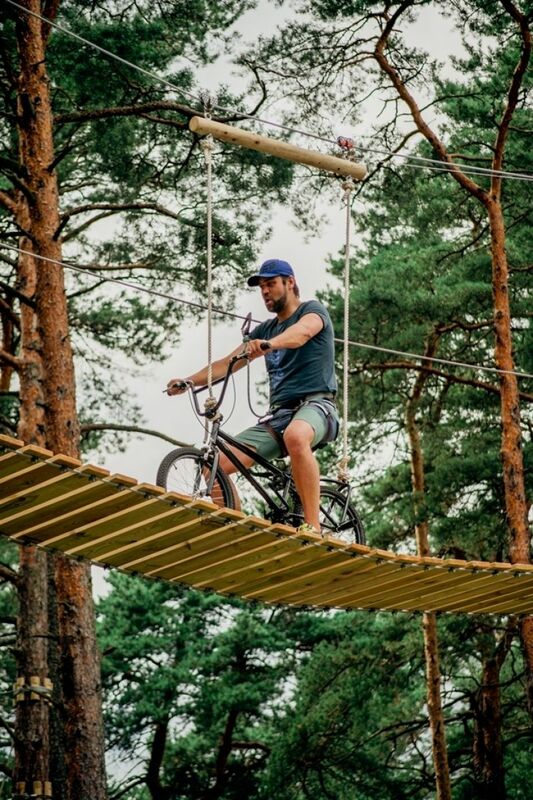 To ride a bicycle on a rope at a height of 11m will be an unprecedented and spectacular adventure. 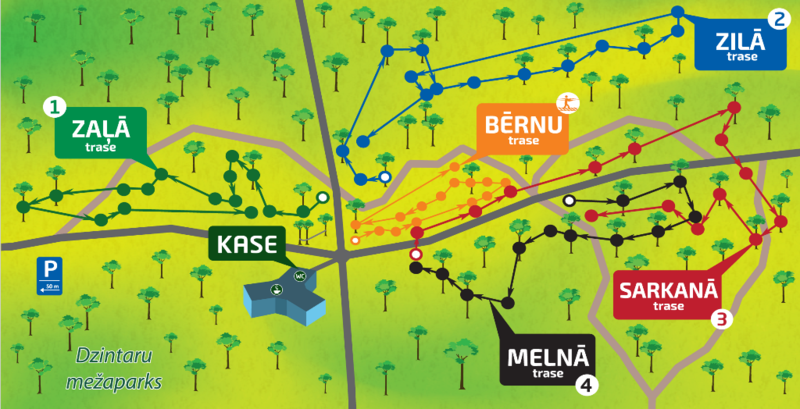 Physical activity and coordination will be needed to get to the end of the track! 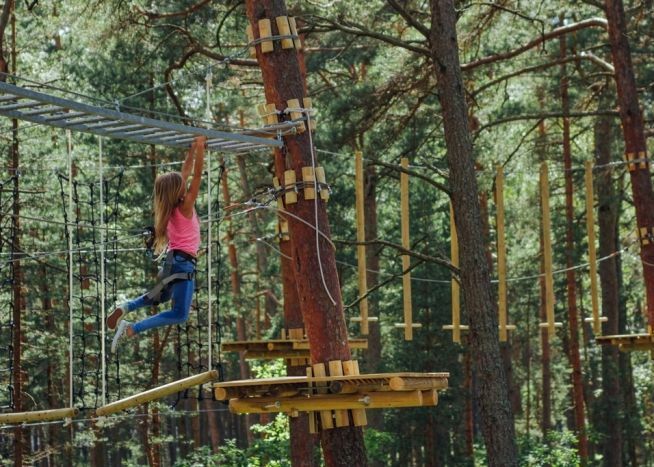 Children's park is designed for children ages 3-6 years. 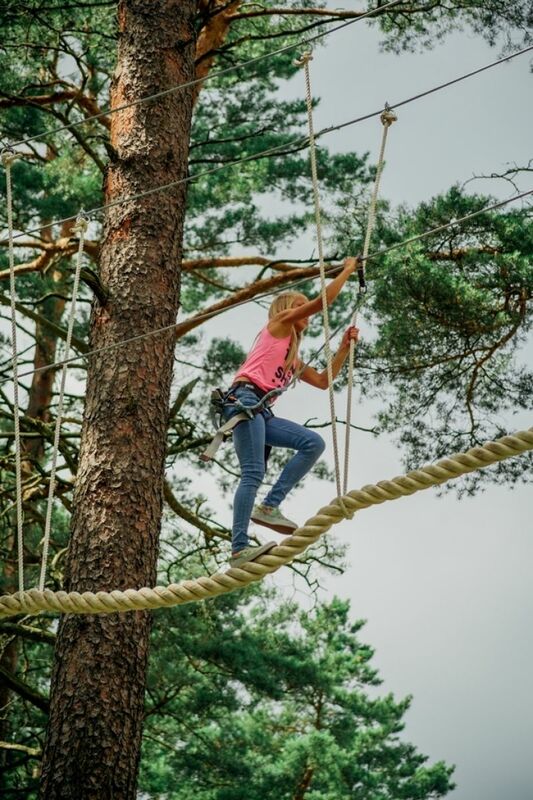 Obstacles in the park are placed in trees up to 1,5 m high.